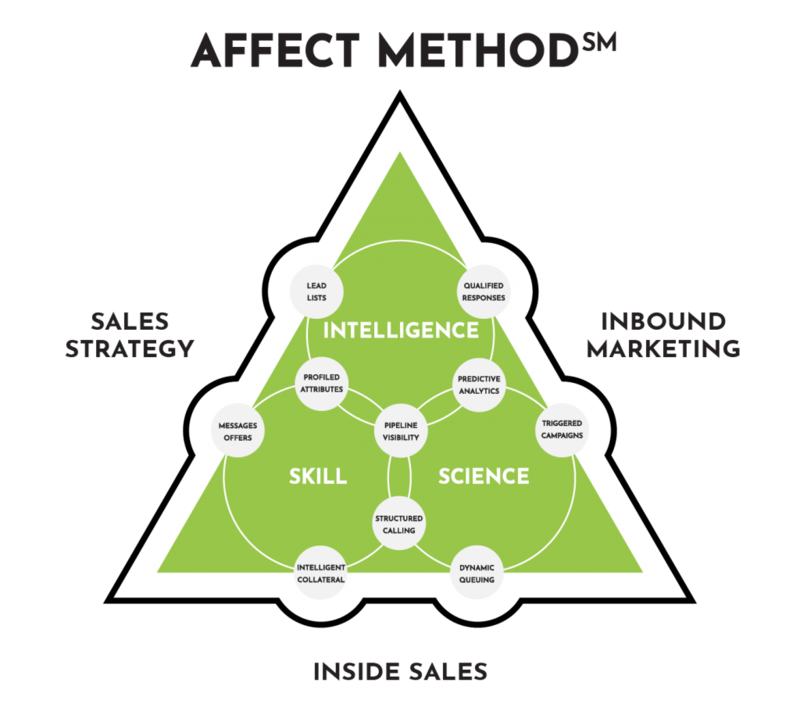 The TelAffects Affect MethodSM is a set of tightly integrated tools, techniques, skills and platforms designed to produce exemplary B2B demand generation results when applied to lead qualification, lead generation, B2B appointment setting, inside sales, client development and client acquisition. TelAffects builds sales pipelines like no other outsourced lead generation or B2B inside sales company. The difference is the very foundation of the company. TelAffects’ Affect MethodSM employs a data-driven operations model with built-in structured methods, predictive analytics, and process-driven telesales skills. 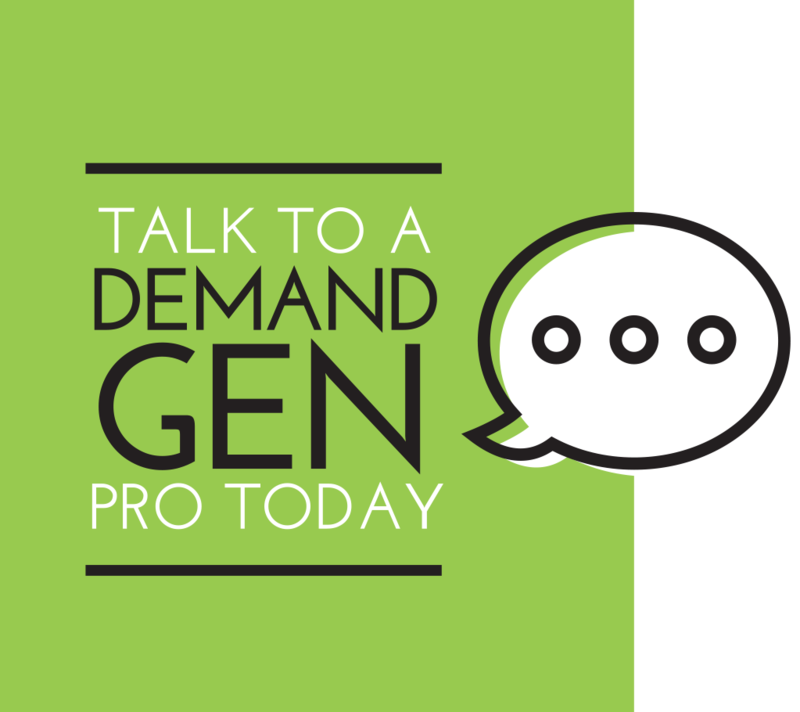 Telaffect’s model produces exemplary outsourced demand generation results month after month. Skills by which quality sales development representatives and inside sales representatives are recruited and retained - their telesales skills are used to optimize lead generation and inside sales performance. TelAffects has the skills to confidently extend your sales organization with high-quality and strategic telesales operations. TelAffects’ outsourced telesales capabilities are able to cover large portions of your available market faster and more completely than your face-to-face sales team. They operate at the top of the funnel so your team does not have to. TelAffects Affect MethodSM Lead List Management builds a solid targeting database at the company, contact, and touch level that is standardized, normalized, de-duplicated and codified to result in a firm foundation for any demand generation program. TelAffects Affect MethodSM Message and Offer Management codifies strategies, tactics, campaigns, programs, messages and offers in support of structured methods and strategic analysis resulting in predictable, consistent and scalable demand generation results. TelAffects Affect MethodSM Profiled Attribute Development builds on your marketing database or CRM to add valuable insights in the nature, characteristics and intent of every member of your targeted market. Additionally, this data forms the foundation for predictive analytics and high performance telesales campaigns. TelAffects works with your inbound marketing capabilities to gather, consolidate and codify every type of data available from SFA tools, CRM tools, marketing automation, purchased lead lists, event registrations and other marketing campaigns. TelAffects is intimately familiar with the SiriusDecisionsTM Lead WaterfallTM lead qualification definitions. TelAffects can work with your implementation of the framework or define a lead qualification process that meets the unique needs of your organization. TelAffects Affect MethodSM Response Qualification utilizes the same approach as telesales lead qualification to ensure that you know precisely where you stand with every lead regardless of where it originated. TelAffects Affect MethodSM Triggered Campaigns funnel responses to specific telesales treatments to assure that the message, offer and lead development method are uniquely fashioned to meet the needs of the prospect and thereby maximize the probability of lead generation success. TelAffects Affect MethodSM Predictive Analytics turn data into effective decisions - using a range of techniques from simple business rules to sophisticated decision tree analysis to optimize the performance of your lead generation efforts. The team at TelAffects has designed, built and successfully executed thousands of telesales campaigns and done so in long-term relationships with companies like American Express, AT&T, HP, AON, and Ricoh. At TelAffects we have measured every aspect of inside sales, for years, for every client and every program, and to an extraordinarily high level of detail. Underlying our data collection is a structured calling approach that assures that the data that is produced by every campaign is sufficient to form the input for very useful predictive analytics. As a result, we have accumulated a lot of very useful data. This aggregate inside sales data set gives us a mathematical model of the sales pipeline, allowing TelAffects to dynamically queue leads to specific agents at specific times of day. We are experts at making the right call, to the right person, at the right time, to maximize the probability of success, driving the sales pipeline with a high conversion rate and low cost per lead. TelAffects is also adept at meeting the needs of your prospects by delivering exactly the right collateral to the right person, at the right time, thereby ensuring that your messages are received, remembered and acted upon. TelAffects Affect MethodSM Structured Calling allocates calls to targets in a manner that ensures the targets receive uniform treatment and that the resulting metrics can drive follow-up predictive analytics. TelAffects Affect MethodSM Dynamic Queuing Process pushes the right contact to the right call, at the right time, from the right telesales representative, based upon built-in predictive analytics, to maximize telesales success. TelAffects Affect MethodSM Intelligent Collateral Process maps your comprehensive library of sales collateral to each situation in your buyer’s journey, thereby ensuring that they are fully aware of the strengths of your offerings.